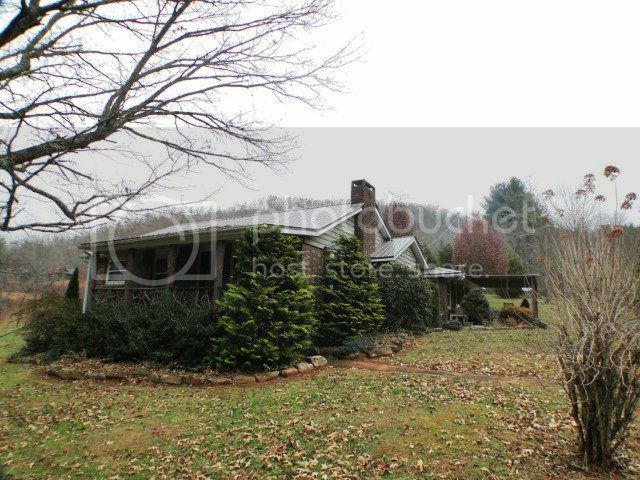 Newly Renovated 2 Bedroom 2 Bath Home for Sale in Franklin NC! Located in the beautiful Burningtown area just 8 miles N.W of Franklin you'll find this completely renovated 1900's farmhouse! It's absolutely adorable! Gorgeous wood floors and ceilings, granite countertops, stainless steel appliances, new wiring, new plumbing, three different types of heat and thermal windows... the list just goes on and on! Don't wait too long, this home won't last! Call or stop by our office to set up your showing appointment TODAY! 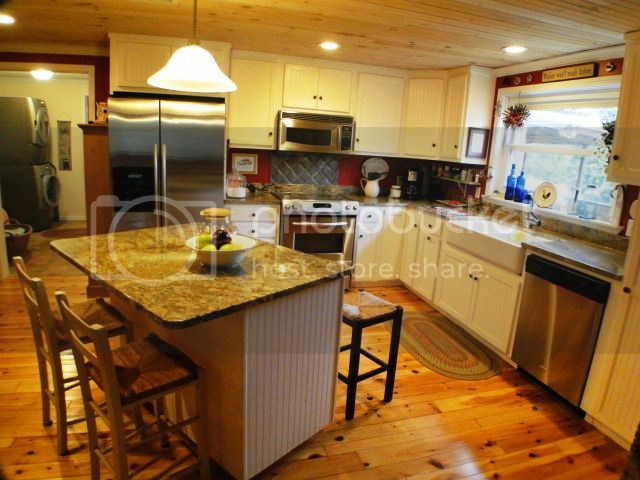 Beautiful open kitchen with an island/bar, granite countertops, farm sink and an awesome Kitchenaid convection oven! 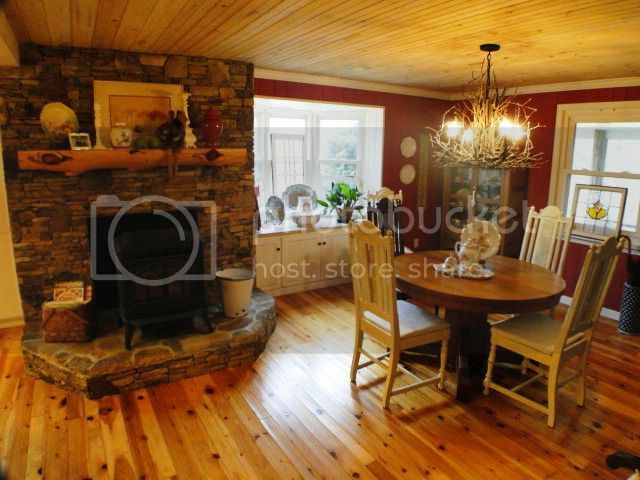 Attractive rock work complementing this pellet/wood stove and warm colors in the dining room are very welcoming! 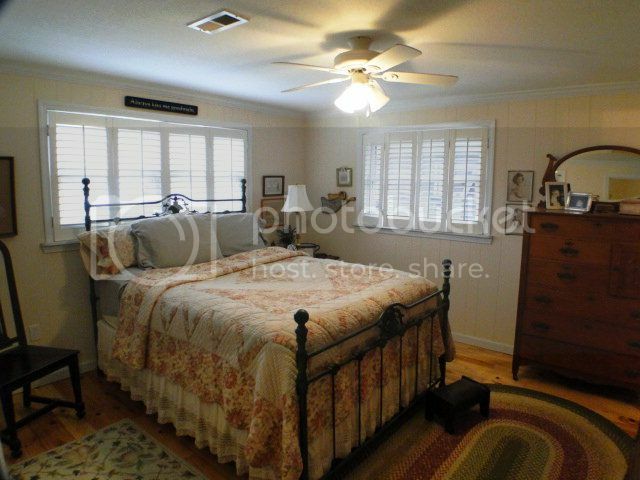 Cozy large master bedroom with wide double pane windows! 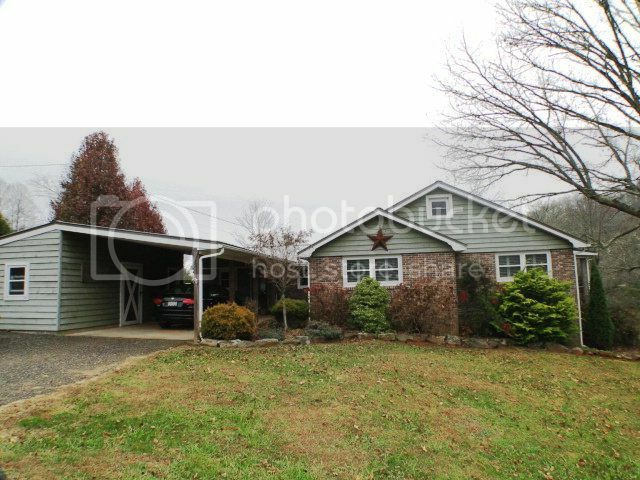 Nice level yard surrounding the home perfect for your big summer garden! Search all homes for sale by price in Franklin NC area HERE!